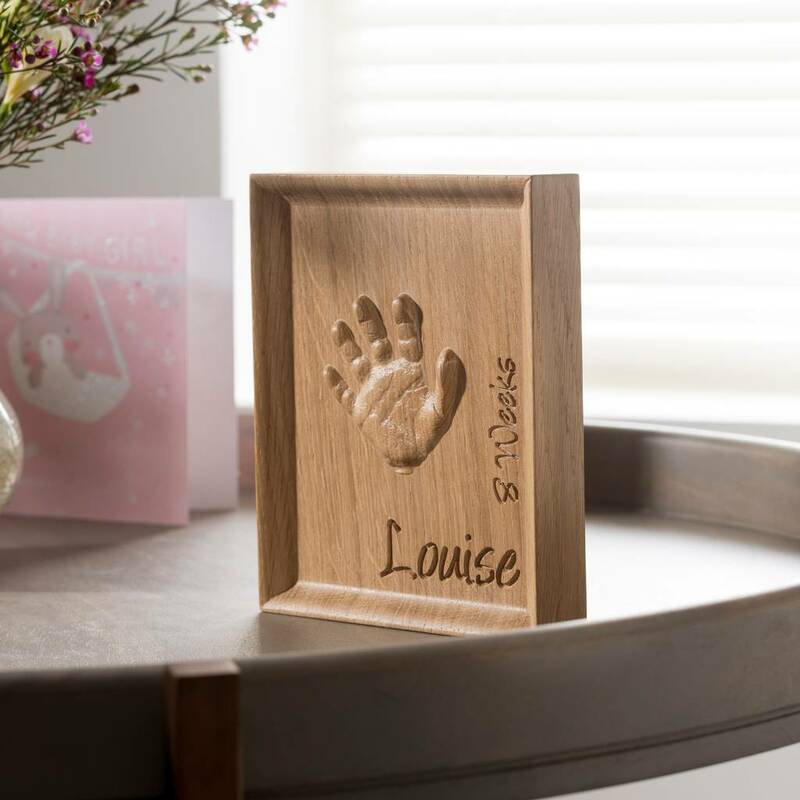 by the Handprint Carving Co.
A truly bespoke and beautifully detailed personalised baby or toddler handprint keepsake in solid oak. XMAS DELIVERY DATES - Last orders to receive clay kits for Christmas will be 18th December (UK). To receive the finished product we will need clay impressions to arrive to us on 30th November. As this is a busy time of year for us we cannot 100% guarantee Christmas delivery but will try our very best. We cannot guarantee Christmas delivery for items shipped overseas. 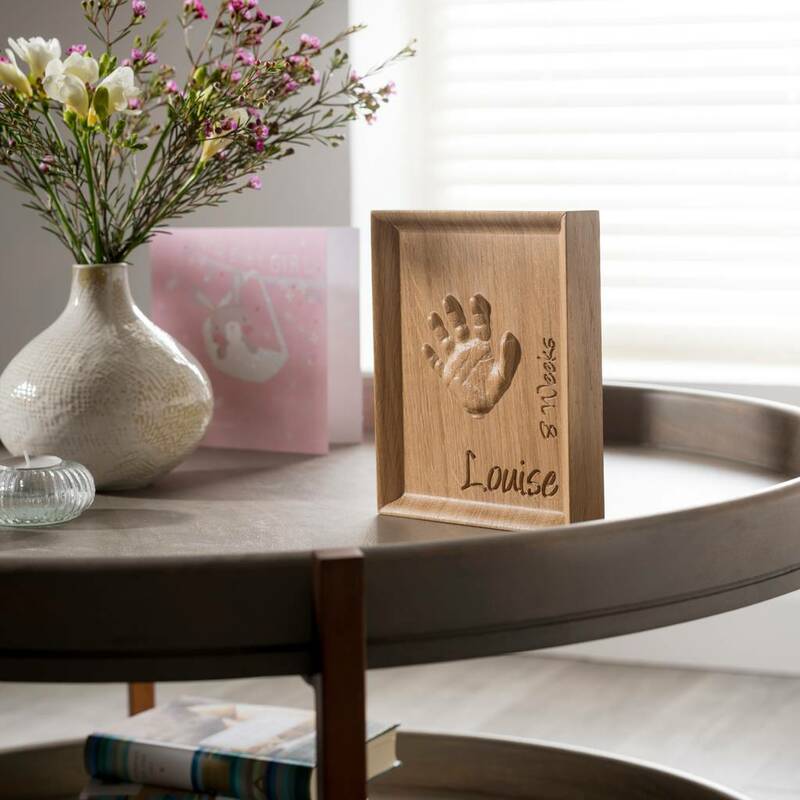 A beautiful gift for any new parents, baby showers, grandparents, christenings, friends and suitable for both baby boys and baby girls. 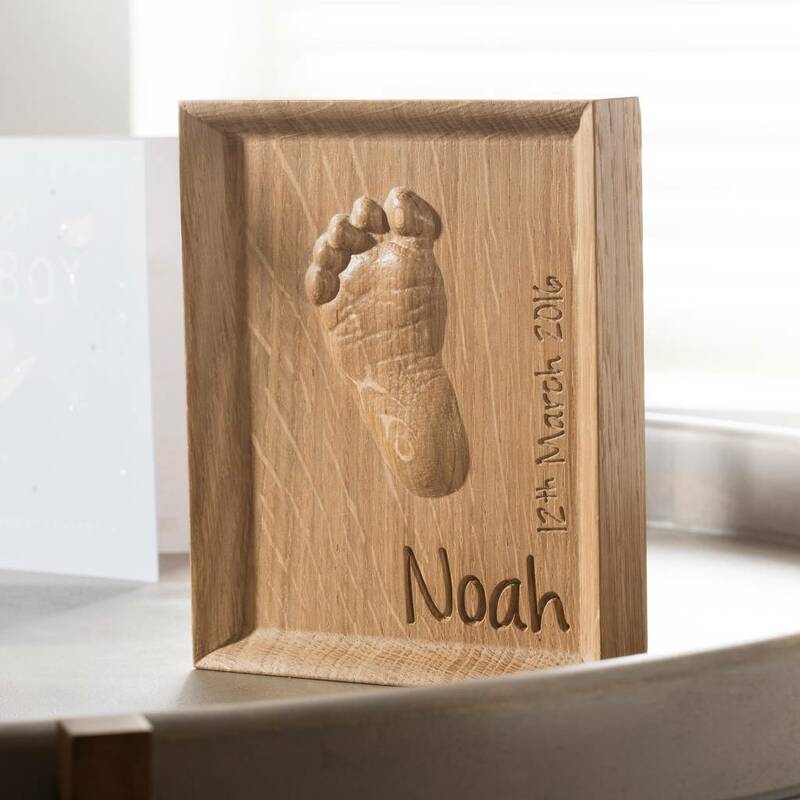 Designed to be freestanding or hung, this stunning piece will grace the wall, mantlepiece or desk of your home and will only become more and more precious as your children grow. 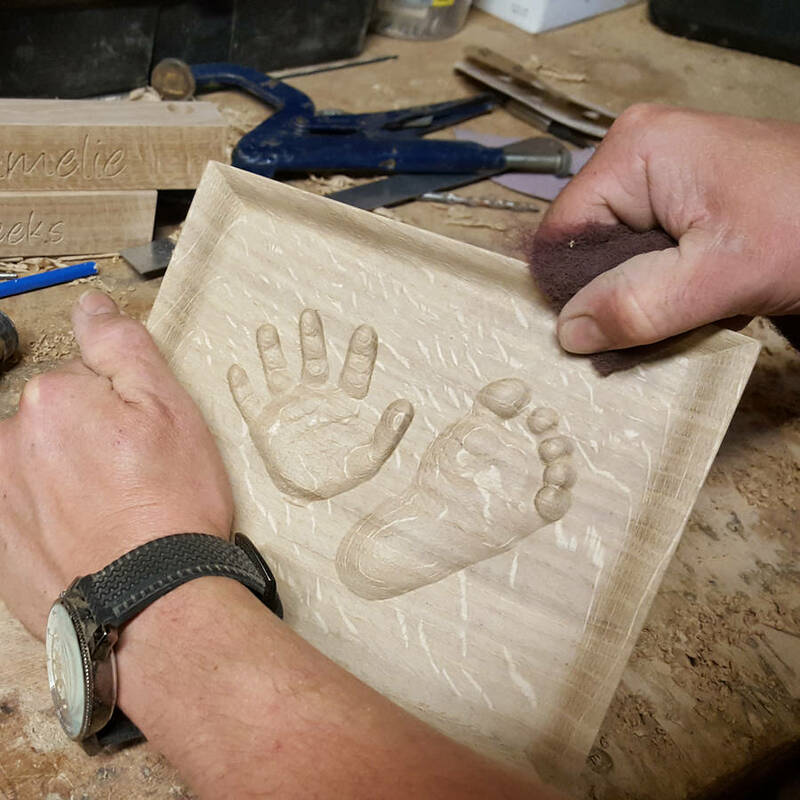 As seen in Tatler and Mother & Baby magazines, our 'Postcard' keepsakes are of the very finest quality and craftmanship and created in our workshop in rural Warwickshire. 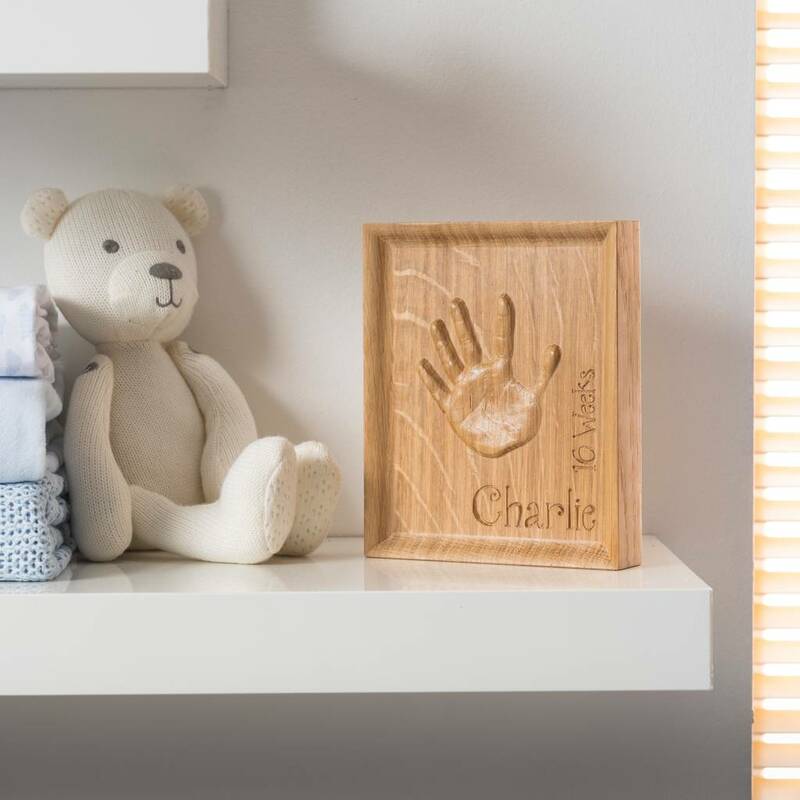 Your little one's 'Outprint' is captured in exquisite detail in the finest, hand-picked quarter-sawn oak that has been sourced exclusively from sustainable forestry. 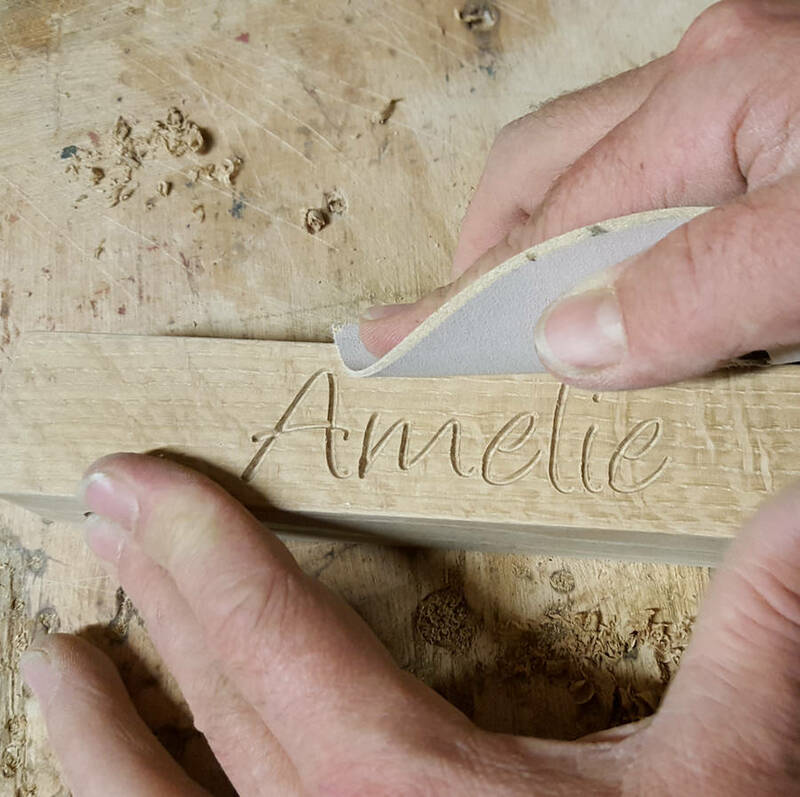 Your bespoke carving will be delivered in a luxury presentation box by 1st class, signed-for post within 14 days. The 'Postcard' is designed for children up to 4 years of age. However, accomodation for older children can be made by scaling your child's print or enlarging the finished piece. Please do get in touch by pressing the 'Ask Seller a Question' button and we will do whatever we can to help. 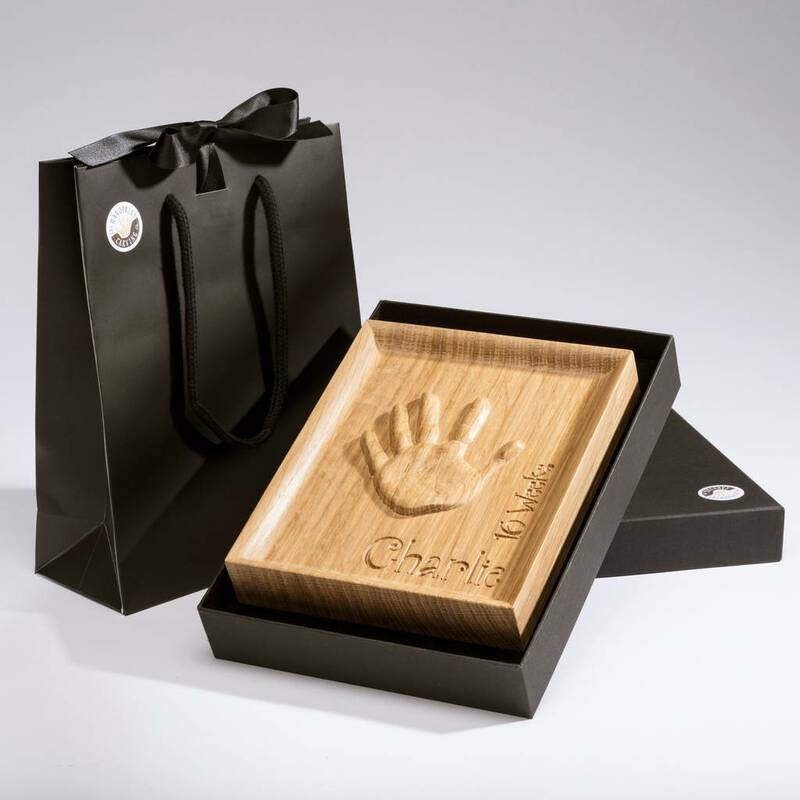 If you would like to give this keepsake as a gift, we will very happy to attach a black gift tag to the gift bag with a message of your choice (free of charge). Please write your message request in the 'Gift Tag Message' section. Choose from four styles of font for the engraving. You will recieve an information form with your gift bag where you, or the recipient if purchased as a gift, can design the style and content of the finished piece. Hand selected, quarter-sawn oak sourced from sustainable forestry. The back of the piece is finished with black baize. 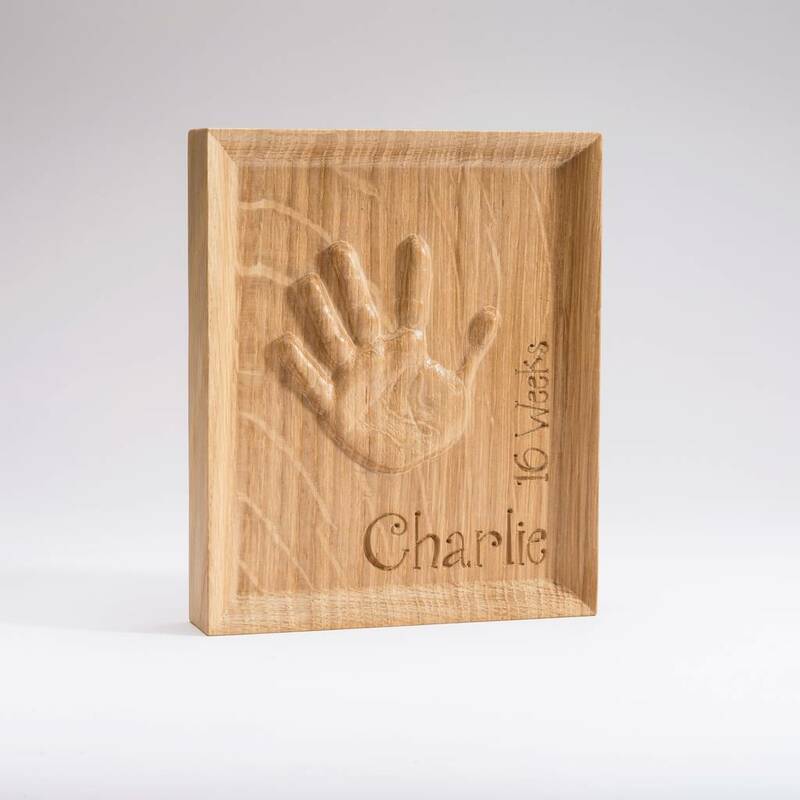 This product is dispatched to you by the Handprint Carving Co..
More items from the Handprint Carving Co.